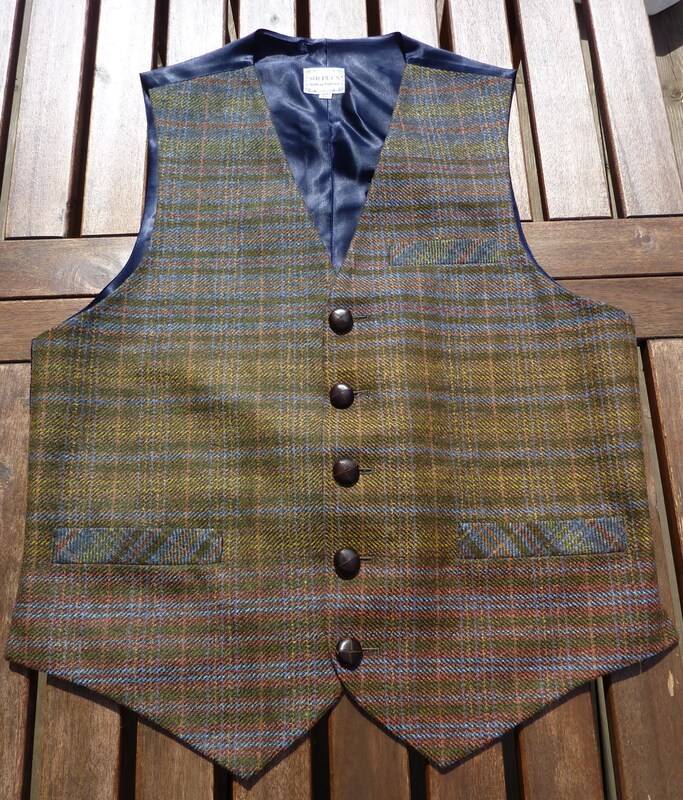 Waistcoat Wednesday: Sir Plus, if you like your cabbage up-cycled - Well Dressed Dad - It is a proper menswear blog. Like, with original words and opinions and suchlike. 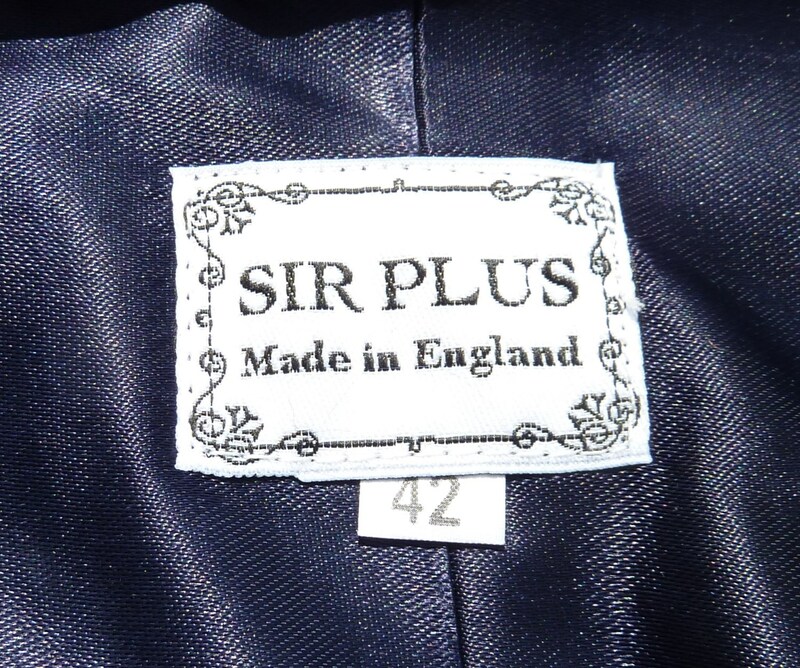 Anyhows, this weeks fine garment is courtesy of the curiously interesting UK one-man company Sir Plus. I’ve mentioned Henry and his company a couple of times before, firstly as a label to watch, secondly as a contributor to my acclaimed review of underwear suitable for a gentleman of taste and style. Henry Hale, proprietor of Sir Plus, is a versatile gentleman though and supplies a quite spectacular array of waistcoats. Henry’s speciality is using “cabbage”, or off-cuts and remainders from Savile Row and other quality tailors, so the materials are of top-notch quality, as illustrated by his boxer shorts in the same material as Savile Row shirts. 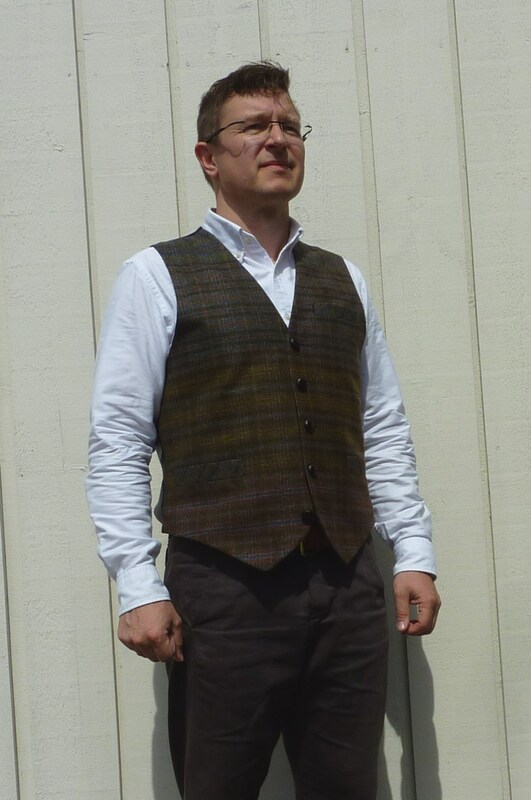 This waistcoat is of a quite traditional layout, in a style I would term as fancy. 3 front pockets, quite shallow, so you wouldn’t keep tools in them, but with the lovely hemming they provide a nice visual twist (and even more so on Henry’s other designs). The front of the waistcoat is in a very lively Italian wool tweed, with an array of colours that means you can be quite liberal in what you match the waistcoat with. I thought myself a little on the cheeky side wearing a burgundy Oxford and brown trousers, but there is both burgundy and brown in the tweed, so it works rather well (I’m saying so myself, and no one I bumped into today called me on it, so either it was fine or no one cared, in a world where no one cares about such matters, it’s tough being a colourfully dressed chap). The cut is quite traditional, with accurate sizing, which means that for me a 42 UK is a touch on the large size now. 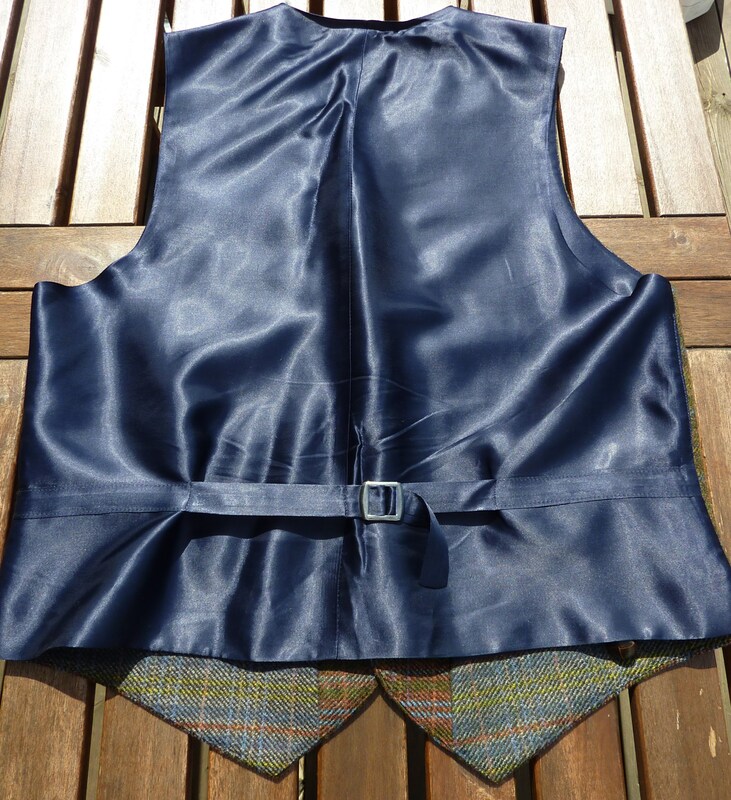 The reverse is in navy satin, which allows the waistcoat to sit nicely on the inside of a jacket. 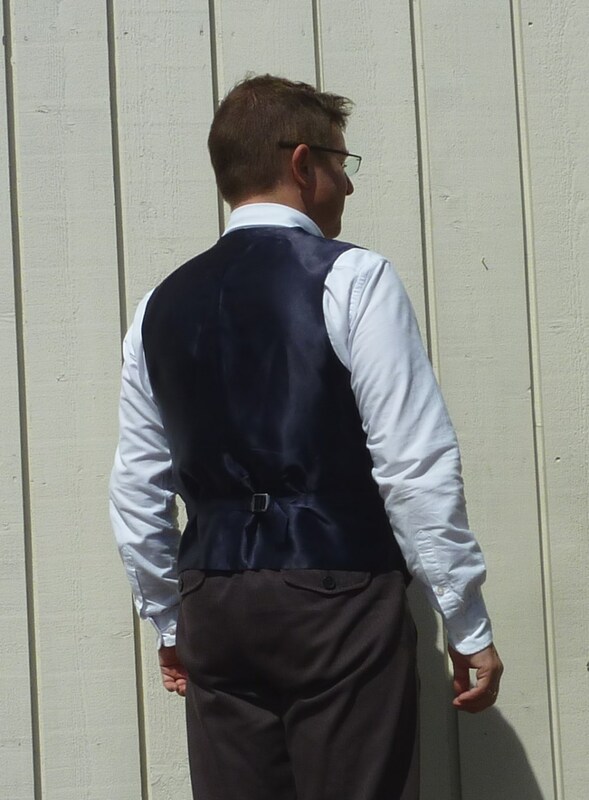 There is a cinch with a buckle that actually works (this is not always the case), so there is adjustment to ensure the waistcoat sits well over the front. On the photo it might appear that the satin has some issue, this is merely rain and a poorly focused camera. In person, it’s very nicely made. Oh, and it’s Made in England as well, add bonus points. While some may consider me picky, I would like to see nicer buttons being used, although this may only be down to my preferences. 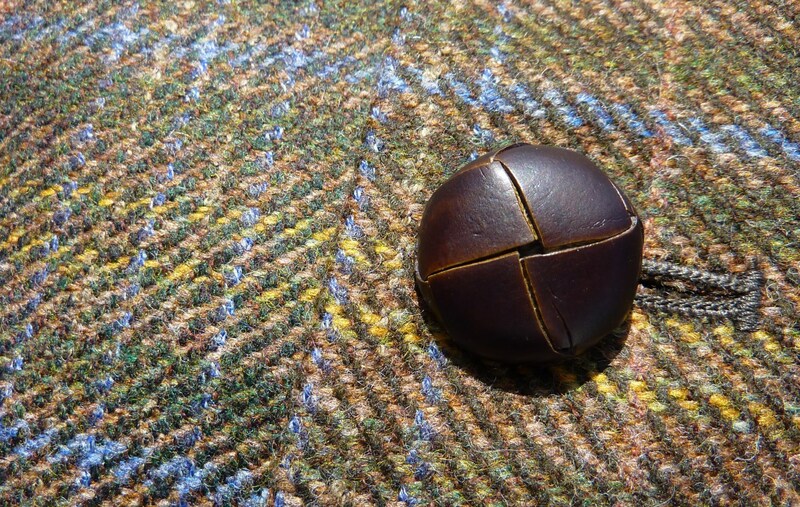 A set of quality horn buttons really lifts a garment. 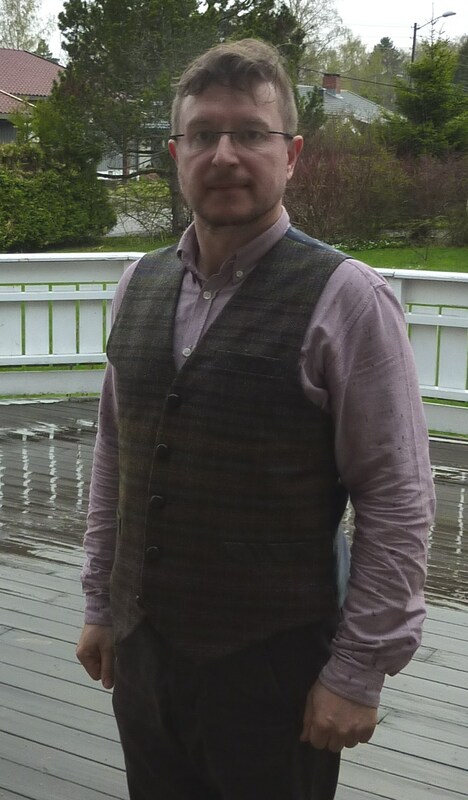 All in all, a nice , well-made and versatile waistcoat from a company I think it’s worth keeping an eye on and supporting. Pricing is competitive as well. Take a look at their website and feast your eyes on the full selection of waistcoat variations! For more posts featuring waistcoats, and curiously published on various Wednesdays, look at the list of Waistcoat Wednesdays! Cracking waistcoat that is. Beautiful fabric on the front of it. Although if I were you, I’d be looking to get a waxed anglers vest of some sort. Or an umbrella…. nah, the vest.